This is one of my most favorite passages in the Bible! I share it often when I speak at churches and I love to talk about the implications of what the Apostle Paul was saying when he wrote these words under the influence of the Holy Spirit. It actually says that we are heirs of God and joint-heirs with Jesus Christ. Have you ever taken a moment to stop and think about what it means to be a joint-heir with Jesus? From my own limited understanding of Scripture, I think it means that whatever Jesus has through inheritance has become ours through the very same inheritance. It amazes me to think that Jesus Christ, the only begotten of the Father, the Lamb slain before the foundation of the world and the King of Kings and Lord of Lords is pleased to share the richness of His Father's inheritance with me! I am an heir of God and a joint-heir with my Elder Brother Jesus... and so are you if you have received Christ as your Savior. 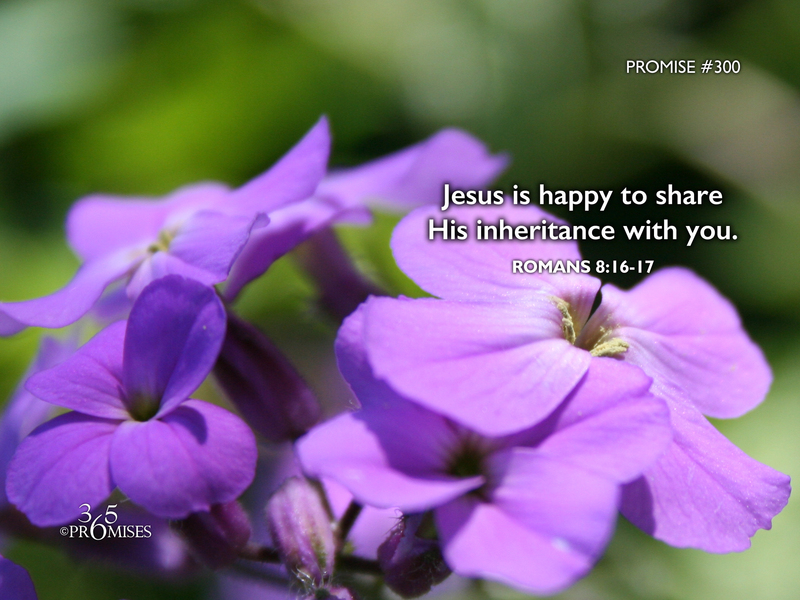 May the weightiness of this revelation settle upon each one of us today as we ponder the amazing life changing truth that Jesus is happy to share the vastness of His inheritance with us because we are children of God and joint-heirs with Him! May the Holy Spirit bear witness with our spirits today and make this truth a reality for each one of us.